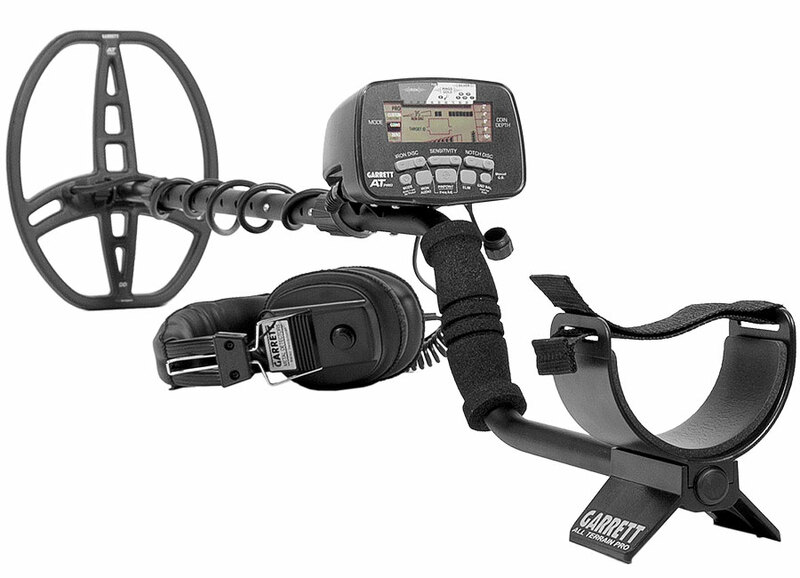 Garrett metal detectors are some of the best devices on the market right now. 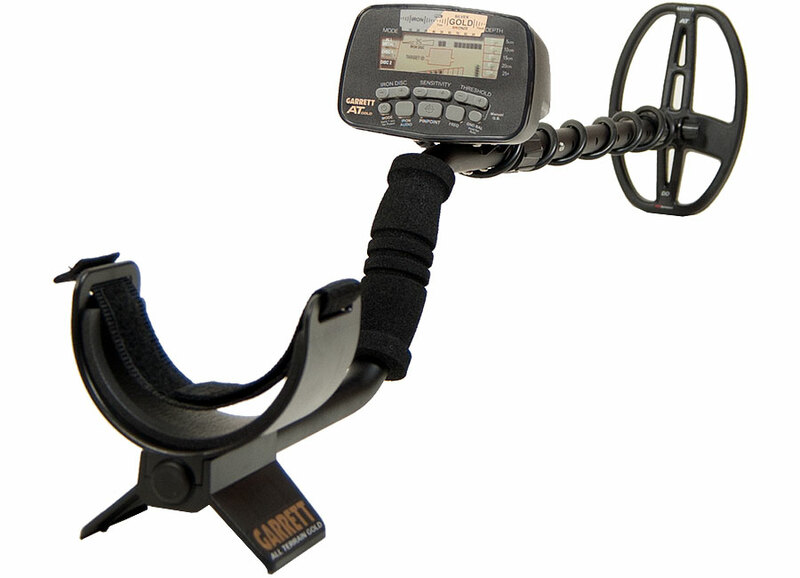 While anyone can pick up any Garrett device and find a laundry list of reasons to use one, it is a better to purchase a metal detector to suit a particular need. Two devices that are capable of completing very specific tasks, yet versatile enough for the average user are the Garrett AT Pro and the Garrett AT Gold. At first glance, the Garrett AT Pro and the Garrett AT Gold have a lot of similarities. Both devices come highly recommended by hobbyists and professionals. Both are equipped for use in rugged terrain and both can be submerged up to ten feet in freshwater. The Garrett AT Pro and the Garrett AT Gold also include a target identification signal that rates the target metal's conductivity on a scale of 0-99 so that the user knows exactly what they are getting. These two metal detectors have automatic and manual ground balance to counteract ground mineralization. They also include Garrett's patented high resolution iron discrimination system and audio to audibly detect any iron elements. Both are quick on the recovery time as well which helps to weed out trash from treasure and distinguish between different metal targets. In contrast, the Garrett AT Pro contains features that may make it better suited for certain uses. For instance, the Garrett AT Pro can be used in saltwater as well as freshwater. It includes adjustable notches to set acceptable targets unlike the Garrett AT Gold and comes with a 8.5" x 11" DD PROformance Double-D submersible search coil. The Target ID meter on the Garrett AT Pro indicates common items and coins which makes it perfect for places like the beach. On the other hand, the Garrett AT Gold is perfect for metal detecting in gold country. This devices includes an 18kHz frequency for the enhanced depth and detection of small gold nuggets, jewelry, coins and relics. A true all-metal mode on the Garrett AT Gold provides the deepest detection depth and enhanced sensitivity on the smallest of gold nuggets. The audio threshold (which is the constant background sound) can be manually adjusted to better hear targets. The Garrett AT Gold also includes a target ID meter to show metal ranges for gold, silver, iron and foil so the user always knows what they're about to pick up. Best of all, this device comes with a 5" x 8" DD PROformance Double-D submersible search coil which makes it the premiere choice for gold hunting in highly mineralized areas. Both the Garrett AT Gold and the Garrett AT Pro make for a fantastic metal detecting experience with their easy-to-use configurations and sleek design. Hobbyists and professionals alike will love how these two metal detectors are the epitome of a quality device. That's why Garrett includes a two year warranty with each device. So whether a metal detecting enthusiast is going out for a day on the beach or a prospector is hitting the rugged terrain of gold country, Garrett has their back.